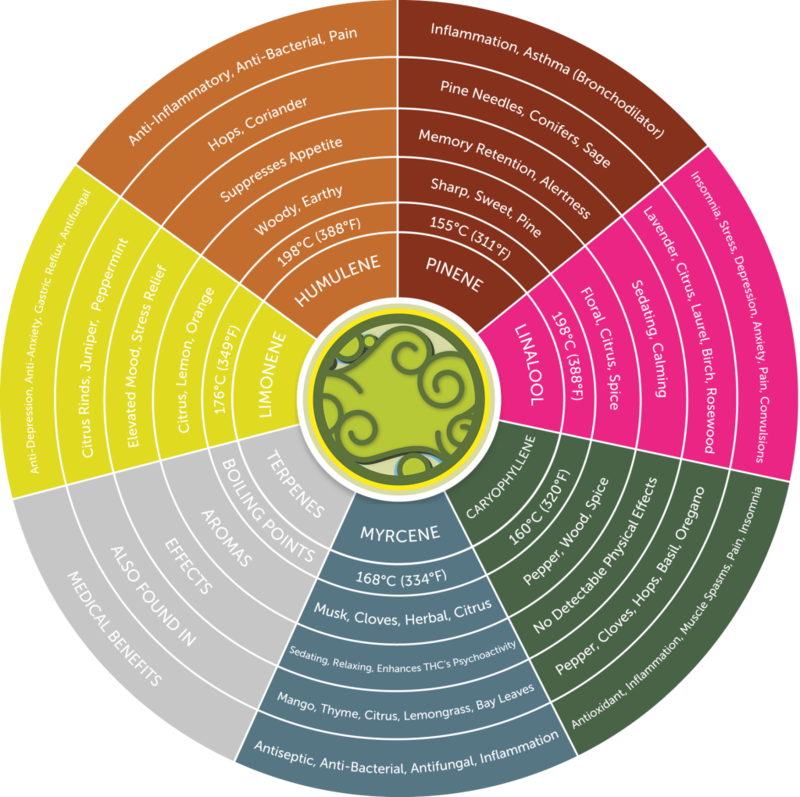 What are terpenes / terpenoids? Terpenes are aromatic components produced in the glandular part of the cannabis plant’s flower bud. Unlike cannabinoids, which are only manufactured by the cannabis plant, terpenes are manufactured by many plants and can be found in many food products, including coffee beans, ginger and cinnamon. Often, it is the terpenes that are responsible for a plant’s odor. Terpenes may modulate the uptake and effects of THC, CBD and other phytocannabinoids. Phytocannabinoids are produced by plants, whereas endocannabinoids are produced within our bodies. Some terpenes have therapeutic properties of their own, such as anti-inflammatory, analgesia and sedation. The distinction between sativa and indica types of cannabis seems to be related to differences in content of terpenes.